The Secure Exit Lane provides one way pedestrian traffic flow from secure to non-secure zones. The Secure Exit Lane creates a physical barrier and is designed to effectively Detect, Prevent and Control/Contain unauthorized entrance into secure areas and zones, thus maintaining the natural flow of traffic. The system uses an array of sensors to detect unauthorized traffic from accessing a secure zone. 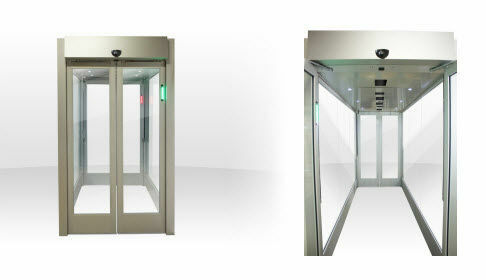 The Secure Exit Lane can minimize the need for physical personnel by providing remote monitoring capability. 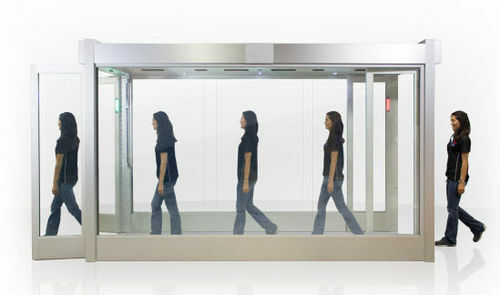 Unauthorized entry and static object detection are only two of the many potential threats capable of triggering a security alert at the Secure Exit Lane.